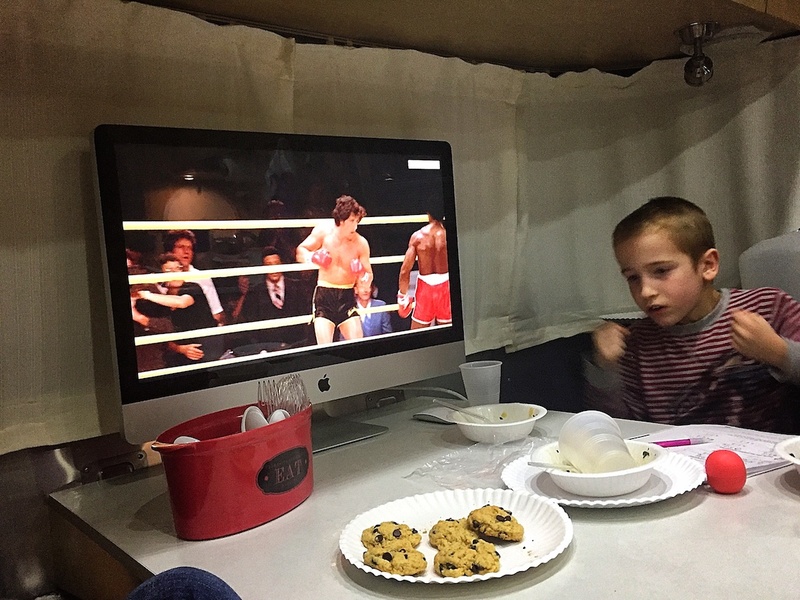 Movie night in the Airstream tonight. We watched Rocky a while back, tonight it was time for Rocky II. I forgot how many good life lessons are in that movie, lessons about squandering money, getting a “dirty job” to pay bills, losing a job due to “union rules”, selling extravagant items when the payments are too high. But the ending, the ending of Rocky II is just the best. Jack nearly crawled out of his skin, sweet kid.